The Democrats should demand a Presidential re-signing of the executive order protecting undocumented children and the de-funding of Trumps deportation force under the threat of a government shutdown. The failure of Donald Trump and Paul Ryan to pass Trump-care combined with the need for the GOP to increase the government's debt ceiling presents a unique opportunity for house Democrats. Even the most loyal Trumpsters understand that the unpopular first 100 day President cannot risk the consequences with the newly shaken stock market and overall consumer confidence should federal campgrounds close down in middle of their peak season, federal workers be laid off, and seniors, their landlords, and their children begin to fear that Social Security checks will be late. Democrats who squandered Latino voter support during the Obama years by enabling a rogue immigration enforcement arm under a President that led his predecessors in deportations have an unprecedented opportunity to prove once and for all that that they are willing to use their clout to help immigrant families. 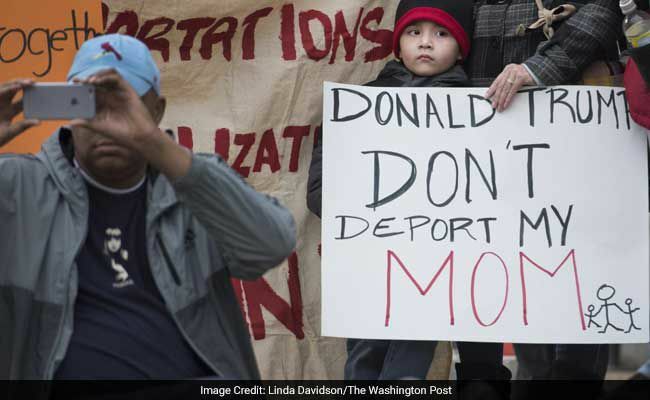 As deportation videos go viral and immigration judges are hired and shipped across the country like bounty hunters there is no doubt that the one promise that Trump is keeping is the one that he himself said he would not : the deployment of a mass deportation force. The terror that the D-Force has unleashed in immigrant communities is palpable and has certain ramifications for all political parties should it continue to go unrecognized and unaddressed. Democrats have over the past 8 years never prioritized immigration issues over the needs of others in their constituent base. Latino’s have become weary of our second tier status in a party whose recent and future gains are directly attributable to our support. This is the moment that House Democrats can show that our families matter to the party’s leadership. The debt ceiling will certainly not pass without Democratic votes and it would be political malpractice for Democrats not to demand concessions for their votes- this is the art of the deal. Democrats now have a White House that is on it’s heels and a GOP house that cares less about governing than about it’s purity. Democrats must seize the moment and people of conscience must demand that they do so. In other words: in face of mass deportations and the separation of families we should call for an immediate shutdown of the Federal Government until we find out what the hell is going on.